The CBO just released their score for Trumpcare and it is clear that, if passed, it would be devastating to families and the economy. It’s on us! Sign on now to protect health care coverage for 23 million people! It’s beyond belief that any member of Congress can continue to promote Trump’s health care bill that’s projected to make 23 million people lose their healthcare, but they do!! 23 million? Really? The nonpartisan Congressional Budget Office just released their score yesterday on Trumpcare (a.k.a. American Health Care Act/AHCA) and one thing is clear: If passed by the U.S. Senate, it would be devastating to families and the economy. *Sign on now! Tell your U.S. Senators: Not on our watch! 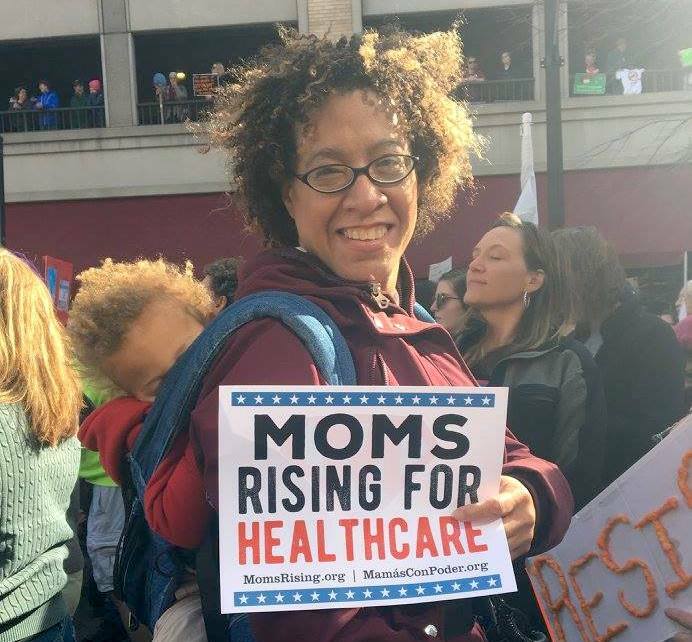 The AHCA/Trumpcare is a threat to our children, families, and economy—and the moms and dads of America will not stand for it! We need you to speak out! The extremists in Congress are hoping to wear us down, but moms just keep at it. We keep going for the sake of our kids. And when it comes to health care—and the lives of the people in this country—Congress should be working to make sure every person has access to the coverage and care that they need, not the opposite. Some members of Congress are out of touch not only with their constituents, not only with real families, but also with the foundational principles of what’s made our nation great: People and communities caring about each other, and the diversity of our nation, is what has made our nation strong, innovative, and prosperous; not the opposite. Health care security is integral to our freedom to pursue the American Dream, which includes big decisions like when and how to start a family. Trumpcare builds a wall between millions of low-income women and their doctors by defunding Planned Parenthood, as many low income women have no other health care provider. Families need stability and reliability in their health care coverage! We've come a long way as a nation together, and we’re not turning our backs on each other, or on the American Dream, now. Together we are a powerful voice for the health of families!